Mr. Van Heyde is a shareholder in the Orlando office. He represents a wide variety of clients with respect to their tax qualified retirement plans, including ESOPs and 401(k) and defined benefit pension plans, non-qualified plans of deferred compensation, stock option and other equity based compensation plans, health and welfare benefit plans, cafeteria plans, COBRA health care continuation coverage compliance, and other employee fringe benefit matters. Mr. Van Heyde is nationally recognized in the formation of ESOPs and their use in business succession planning and estate planning. He has spoken at various conferences across the country of The ESOP Association and the National Center for Employee Ownership (NCEO). 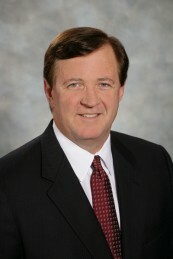 In addition to his employee benefits expertise, Mr. Van Heyde represents a significant number of Central Florida based companies with respect to their general corporate matters, including the preparation and review of their employment agreements, termination and severance agreements, shareholder agreements, stock and asset purchase agreements and general corporate compliance documentation. Reorganized the ESOP of a closely held corporation to facilitate its initial public offering, and the subsequent underwritten sale of shares by the participants in the ESOP. Represented companies, selling shareholders and ESOP Trustees in numerous ESOP purchase and sale transactions for a significant number of specialty and general contractors, architectural and engineering firms, design/build entities, manufacturing companies and professional services firms. Represented ESOP trustees in transactions to sell all or a portion of the company stock to outside third parties. Served as ERISA expert co-counsel in unsuccessful attempt by the U.S. Department of Labor (DOL) to enjoin valuation firm from providing appraisal services to ERISA plans and to seek other equitable/ financial relief. 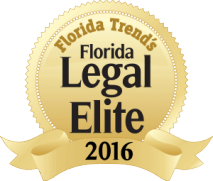 Served as ERISA expert in commercial litigation. Represents over 100 firm clients with respect to their tax qualified retirement plans, including their 401(k) plans, profit sharing plans, ESOPs and defined benefit pension plans. Successfully re-qualified several retirement plans through the Employee Plans Compliance Resolution System (EPCRS) of the Internal Revenue Service. Obtained several private letter rulings from the National Office of the Internal Revenue Service with respect to employee benefit and ESOP issues. Designed numerous stock option, unit option, restricted stock, phantom stock, stock appreciation rights and equity based compensation plans for firm clients. Guest speaker at the ESOP Association Las Vegas Convention & Trade Show in Nevada, November 2012. The Pros & Cons of ESOPs – Is This Succession Planning Tool for You?